Jessica Cohen is an Bruce A. Beal, Robert L. Beal, and Alexander S. Beal Associate Professor of Global Health at the Harvard School of Public Health. 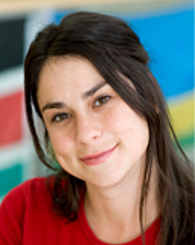 Her research interests include evaluation of maternal and child health programs and policies in sub-Saharan Africa. She has conducted a number of field trials in Africa on malaria, exploring issues related to technology adoption, messaging and behavior change, pharmaceutical supply chains, and sustainable financing. Her current work explores the role of (mis)perceptions of malaria risk on behavior and policy-making and methods to improve the quality of care received at childbirth and in the early postnatal period. I am working on several projects that aim to understand how people form beliefs about malaria risk, how they behave when malaria risk changes, and how to use this information to design better strategic planning for malaria policy in the future. What got you interested in development economics? The same thing that interested me in economics in general: it's a way to try to make sense of the world and of human behavior. What is one current research project that you are particularly excited about? Malaria has been on a roller coaster ride in Africa since the mid-1900s. In Zanzibar, for example, malaria prevalence among children has three times in history been at almost 75 percent and three times been brought down—through a combination of drugs, insecticides, bed nets, etc.—to near zero. In Zanzibar, as in many African countries, control measures end up slipping. Funding goes elsewhere, governments are pressured to focus on other diseases and people become less vigilant about preventing and treating a disease that becomes a much less visible and significant health threat. But when malaria rebounds, the mortality and morbidity impact can be enormous. For my first dissertation paper, I tried to come up with a solid research design to study why the crack cocaine epidemic ended in the United States. I could never make that work. Since I'm still frustrated about that, I guess my dream evaluation would be to experiment with interventions to halt drug epidemics, or at least to identify their dynamics. What is your craziest story from the field? Crazy upsetting was the time we had to halt a study in Uganda because of an Ebola outbreak in the district we were surveying (IPA Uganda, you handled that very well, by the way!). Crazy funny was the time my project associate from the same study had one day gotten off a motorcycle taxi to pick up a snack from a street vendor and left her helmet on since it would just be a minute or two before she got back on. She overheard two Ugandan men talking about her as they walked by, thinking that she was just walking around the city with her helmet on, saying "Those Americans are so safe!"